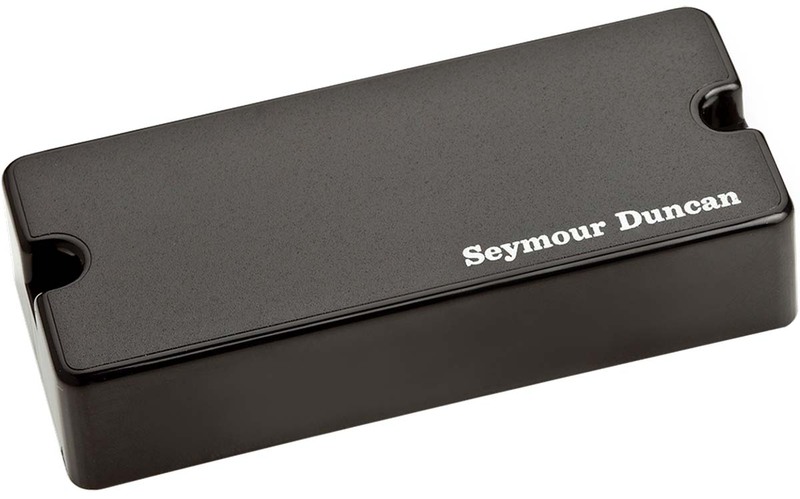 The Seymour Duncan SSB-4n is a passive 4-string bass soapbar neck pickup that packs punch with organic feel. Just because your soapbars are passive doesn’t mean your tone has to suffer. Some players want great tone, but simply don't want to hassle with batteries. We can appreciate that. This passive variation has a moderate output and a slightly more subtle tone than its active brothers. The punch you want is still there, but the feel of the pickup is more organic. Drop tunings are no problem for the SSB-4. Even with the lowest of lows, the articulation and low-end clarity shine. If you're switching from an active to passive setup, these will drop-in to any EMG 35 sized pickup slot. Pair this pickup with the Seymour Duncan SSB-4b 4-String Phase II Passive bridge pickup for a perfectly matched set. For optimal tone control, install with the Seymour Duncan STC-2 or STC-3 preamps. Dimensions: 3.53" x 1.52" x 0.75"